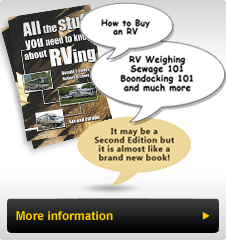 Battery related problems can manifest themselves in many ways in a modern (motorized) RV. Chassis and Coach systems often include more than one battery and multiple charging sources combined with varying priority of charging batteries, and interconnection of the two systems such that it can get very complex to troubleshoot a problem. In the next few articles we will look at typical battery systems, then the charging systems found on newer coaches and the interconnection between the two. This will expand our understanding of their operation and give some direction about how to troubleshoot problems with them. I will provide a couple of case studies of problems found on coaches and walk through the steps taken to isolate the problem and develop a solution. Most RV?€?s have independent battery systems for the Chassis / Engine Starting and House / Coach systems providing power for lighting and such onboard systems as LP/AC refrigerators, LP furnaces and LP/Electric water heaters. While the electric requirements often require 120V AC power to function, the control systems are generally powered by the 12 Volt Coach Battery system. These 12 Volt electrical systems are charged either by the engine driven alternator when driving or the onboard 120 Volt AC electrical system through a converter or inverter/charger when 120 Volt AC is available from the campground or generator. The Chassis / Starting battery system may have one battery (typical on gas engine and smaller diesel RV?€?s) or two batteries connected in parallel (typical on larger diesel powered RV?€?s). By connecting batteries in parallel the capacity of the batteries is doubled since the Positive or Plus (+) side on one battery is connected to the Positive or Plus (+) terminal on the second battery and likewise the Negative (-) to Negative (-). On all but the smallest RV?€?s, the Coach or House battery systems often have multiples of two batteries connected in one of two methods. Batteries connected in ?€?Series?€? means that the Positive terminal of one battery is connected to the Negative terminal of another so that the voltages of each battery is added together (i.e. 6 Volt + 6 Volt = 12 Volts) with no increase in capacity. If batteries are connected in Parallel (see above) battery capacity is doubled. Larger battery banks found on larger (often "all electric?€?) coaches may have a combination of Series and Parallel battery combinations to provide ample power for longer periods of time. Many newer coaches have reduced maintenance or maintenance free batteries that do not require adding water. While the battery technology may vary (conventional lead/acid, AGM, Lithium-Ion etc.) the coach manufacturer will have provided a charging system capable of charging the particular battery type installed on the coach as it left the factory. Should the batteries ever be replaced with a different type, then the charging system will also need to be adjusted to reflect the changed batteries since each has different charging and maintenance requirements. This is an important factor to consider when making battery replacement since some older systems were not designed to charge some of the newer technology batteries. Check with the charging system maker before making a commitment to a different battery type than what was included with the coach as original equipment. I?€?ll touch on this later in this series.